A two tier affiliate program may sound strange to people who know little or nothing about affiliate marketing. Actually, those who are into affiliate marketing see this program as another way of making more money. Knowing the benefit from a two tier affiliate program sets you on a journey that will boost your income. Affiliate marketers find the features of a two tier affiliate program enticing because it allows them to sign-up additional affiliates beneath them. Moreover, this allows the affiliate in the first tier to receive a commission when affiliates in the second tier earns their commission. The commission in the first tier of a two tier affiliate program has similarities in the typical affiliate program. In fact, the main difference in this system is that it includes a sub-affiliate or additional tier. It allows marketers to receive a commission in that tier as well. This occurs when the sub-affiliates referred to the system are able to generate sales. Ideally, an affiliate program can have a multi-tier system with a limitless number of tiers. Nevertheless, there are still a few limitations observed. As the tiers continue to grow, the affiliate program attracts more webmasters. Usually, they are more interested in making profits from the work and effort of others. Also, the two tier affiliate program is seen as Multi-Level Marketing. So, you join the affiliate program. Then, you are known as a first tier, and your referral is seen as a second tier. The system is then seen as a multi-level marketing (MLM) if additional tiers exist. Yet, multi-level marketing at the moment is less effective and less successful as it was many years ago. This is the current view because affiliates can easily choose from the many affiliate programs available. Furthermore, they can switch affiliate programs with ease. You might be on the wrong track if you are confident that an affiliate under you (second tier) will get the job done for you. As such, you can strive to make the best from of a two tier affiliate program. You can accomplish this and make more profits when you encourage sub-affiliates to sign up using your link. As for this, they create an account under you. Likewise, to ensure profits, you have to make sure you select your affiliate merchant carefully. The merchant you choose will make all the difference. When using a two tier program, select merchants capable of generating stable streams of top-notch products and offer high commissions. You can also deal with merchants that offer real-time tracking, tested and trusted advertising tools and have their affiliates at heart. Merchants offering high visitors-to-sales conversion rate is also a nice sign-up choice. In addition, when selecting a two tier system, it’s advisable to engage yourself with web merchants with user-friendly websites that are easily accessible. This allows you to monitor or keep track of statistics of sales and visits. You can also go for merchants with robust marketing tools which can be used for the products you promote. Remember, promoting a poor affiliate program is only a waste of your effort and your time. In addition, your reputation can suffer. This happens when your customers feel the products or services you are offering are terrible. This is why choosing a first-rate affiliate program is vital. Going for first-rate affiliate programs will promote a healthy relationship with your visitors. Besides this, getting more ties to sign up under you becomes easy. Also, be mindful of some affiliate systems that emphasize more on making profits on other affiliates than making profits from sales. The reason is you will discover in the end that those sales have already been closed by someone else without you being informed. Normally, a two tier affiliate program of this nature offers very little first-tier payment. But, the commission is high on the second-tier. Anyhow, before you decide on starting your own affiliate program, you have to know if you will be running a single-tier affiliate program or a two-tier affiliate program. I can’t say for sure which one is better. Each one depends on the merchant, the products and the expertise of the affiliates. In any case, I can tell you what you stand to gain from a two-tier affiliate program. Firstly, your income will increase as a result of increased sales from clients referred by your second tier. Secondly, it expands your customer base, allowing you to sell more products/services. Thus, you gain a more stable income. This occurs because the clients you get from your sub-affiliates may develop a keen interest and loyalty with your products and your website. Besides, you have a group of affiliates under you. They are ready to promote and sell your products/services to their customers, subscribers, and visitors. It’s been confirmed/proven that many affiliate marketers are making lots of cash from a two tier affiliate program. Therefore, this system should be the first choice for potential affiliates. Also, it should be the first choice for managers of affiliate programs who desire to make a steadier income. You can now conclude that a two tier affiliate program is beneficial and useful. 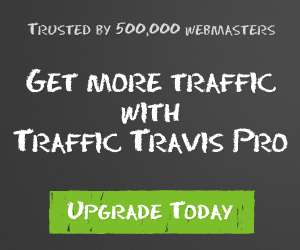 Especially, when you, as well as your tiers, start making huge profits from your website.